Microcaching is an effective method for accelerating the delivery of dynamic, non‑personalized content by caching it for very short periods of time. In this article, we’ll see how to accelerate a WordPress‑based application by up to 400x using the microcaching technique. The benefits of caching are two‑fold: caching improves web performance by delivering content more quickly, and it reduces the load on the origin servers. The effectiveness of caching depends on the cacheability of the content. For how long can we store the content, how do we check for updates, and how many users can we send the same cached content to? Caching personalized content (that is, content customized for each user by the server application) is generally not possible, because the server’s response to each request for the same resource is different. Techniques such as server side includes (SSI) and edge side includes (ESI) can help to assemble the page, but they are complex to implement and do not necessarily improve performance. Microcaching is a caching technique whereby content is cached for a very short period of time, perhaps as little as 1 second. This effectively means that updates to the site are delayed by no more than a second, which in many cases is perfectly acceptable. Does this kind of very brief caching make an appreciable difference in website performance? Let’s try it out! For this test, we’ll use a standard WordPress install, and populate it with some sample content. The top utility showed the CPU was being consumed by 10 Apache httpd processes which were executing the PHP interpreters. This setup is a problem – it limits the capacity of the website to no more than five requests per second, it makes it trivially easy to mount a denial‑of‑service attack, and addressing the problem by adding more CPU could add $1,000s to the annual hosting costs. Accelerating this service with NGINX is a two‑step process. We also modify the Apache configuration (listen ports and virtual servers) so that Apache is bound to localhost:80 only. 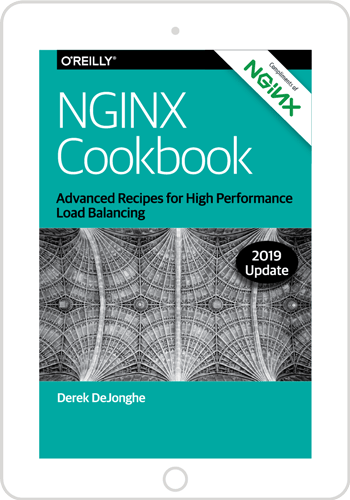 On a busier server (handling more concurrent requests), just the keepalive optimizations delivered by NGINX will bring a significant performance boost. With addition of just two directives to our server configuration, NGINX or NGINX Plus caches all cacheable responses. Responses with a 200 OK status code are cached for just 1 second. That’s a 120‑fold performance improvement, from 5 requests per second to 600; this sounds great, but there’s a problem. The caching is working perfectly, and we can verify that content is refreshed every second (so it’s never out of date), but there’s a something unexpected going on. You’ll observe that there’s a large standard deviation (141.5 ms) in the processing time. CPU utilization is still 100% (as measured by vmstat), and top shows 10 active httpd processes. The dashboard reports that NGINX handled 18032 requests during the test (the 18022 reported by ab, and 10 requests that were outstanding when the benchmark ended at the 30‑second mark). However, NGINX forwarded 150 requests to the upstream, which is much more than we would expect if we’re caching the content for 1 second during the 30‑second test. What’s going on? Why the high CPU utilization and the larger‑than‑expected number of cache refreshes? It’s because each time a cached entry expires, NGINX stops using it. NGINX forwards all requests to the upstream WordPress server until it receives a response and can repopulate the cache with fresh content. This causes a frequent spike of up to 10 requests to the WordPress servers. These requests consume CPU and have a much higher latency than requests served from the cache, explaining the high standard deviation in the results. Why just 16 requests? We know that the cache times out after 1 second, and that updates can take up to 0.661 seconds (from ab results), so we can predict that updates will occur no more frequently than every 1.66 seconds. Over a 30‑second period, you’d expect no more than 18 (30/1.66) requests. This simple demonstration shows the potential benefit of caching dynamic content for very short periods of time, and the usefulness of NGINX Plus’ live activity monitoring data when tuning and diagnosing cache configurations. If you want to use microcaching in production, we recommend that you create and test a more sophisticated caching policy that both microcaches dynamic content and caches static content for longer periods of time. NGINX Plus also includes a cache purge feature that can be used to remove specified content immediately from the NGINX cache. This capability can be employed programmatically if you want to cache content for longer periods of time, but need to update it immediately when you change the origin content.